After our morning shooting outing, we headed over to 1781 Brewing to enjoy the pleasant spring weather. We claimed a table out back overlooking the vineyards. It was a pleasant view even if the fields were still barren. Both Colleen and I ordered pints of the brewery's Dunkelweizen. I am a fan of this style in general, and I enjoy 1781's version when I can. The low 4.7% ABV, the nutty, slightly sweet caramel and toasted bread flavors make for an easy sipper. I suspect it will be going off the tap list in the coming weeks as they bring on the summer selections. 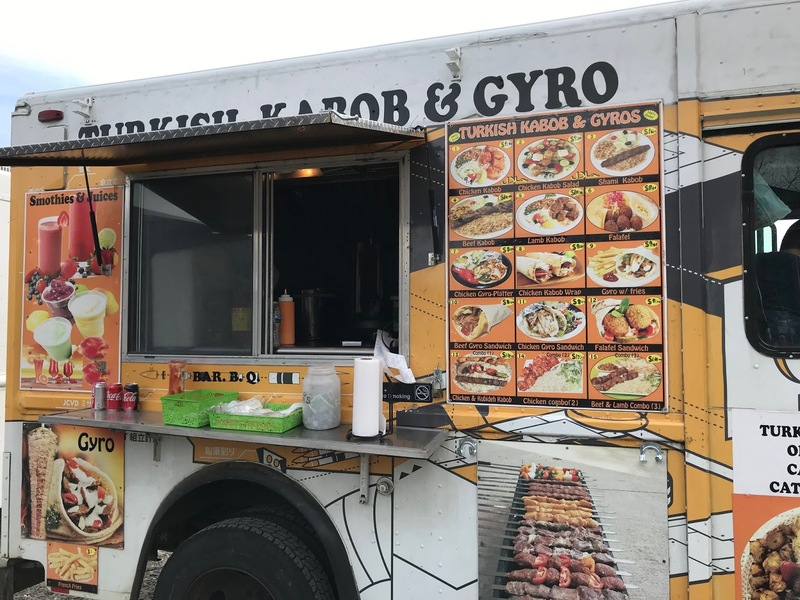 Full disclosure, one of the motivating factors for the visit was a posting on Facebook about the weekend's food option; The Turkish Kabob & Gyro Food Truck. After a lengthy viewing of the menu decided on the Chicken Kabob Wrap and a Chicken Gyro Sandwich. The food was served promptly and warm. There was a mix up and I ended up with a Beef Gyro instead of the chicken, but I decided to try it instead. Both the meals were quite tasty. We'd certainly check out this vendor again. 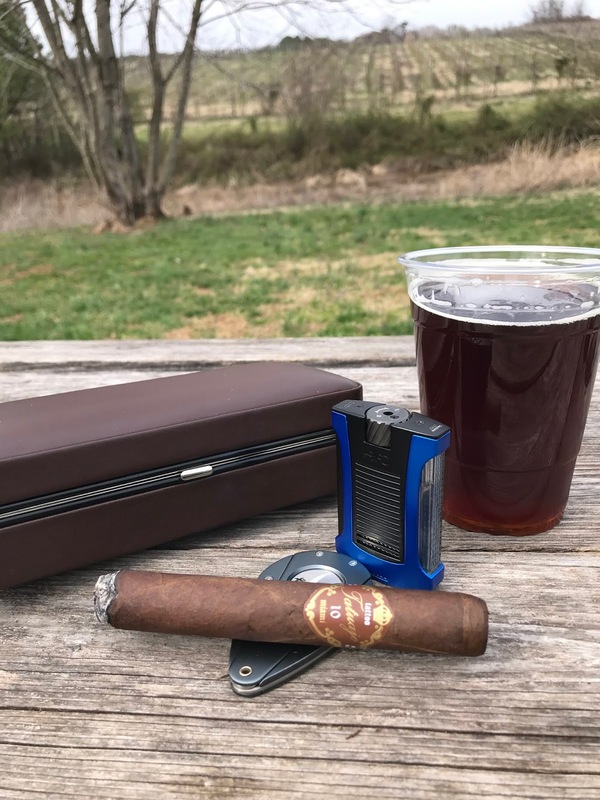 I made the decision that it was time to finally enjoy a cigar, for the first time since December. I had brought along my travel case with three options, just in case the urge came. I settled on the Tatuaje 10th Anniversary Bon Chasseur, with another serving of the Dunkelweizen. The medium bodied smoke with cocoa and coffee notes was a satisfying "first" smoke. It was such a pleasurable afternoon that we ended up sitting for a bit longer than we had planned. The evening's musician arrived and was setting up as I finished my beer and smoke. We listened to few songs before finally deciding we couldn't sit at the picnic table bench any longer — next time I'll actually bring the folding chairs from the car!